We’ve featured many English historic sites such as, castles, Stonehenge and the Tower of London on EnglandExplore before. Runnymede on the banks of the Thames in Surrey seems the most unlikely place for a revolution. However it was here, in 1215, that the Magna Carta was signed. Its main aim was to restrict the then near absolute power of the King and offered protection to individual freedoms. Although a long way from modern democracy, this ancient document is one of its foundation stones. Never again could the monarch reign without at least some regard to his or her subjects. (See here for more on the various Kings and Queens of England). It’s also one of England’s foremost historic sites: it was here in the early 18th century that Abraham Darby perfected smelting iron using coke, a major technological breakthrough. Little remains of this once imposing castle today, but few sites have seen such a long list of historic events as Pontefract Castle in the north of England. Richard II was almost certainly murdered there – as was mentioned by Skakespeare in Richard III (“Pomfret, Pomfret! O thou bloody prison, Fatal and ominous to noble peers!“). The Castle was surrendered to the leaders of the Catholic ‘Pilgramage Of Grace’ uprising against Henry VIII. The castle was the reputed location of the first act of adultery by Catherine Howard, wife of Henry VIII. Mary Queen of Scots lodged here during here exile in Elizabethan times. The castle was major stronghold of the Royalists in the English Civil War in 1644. It was ultimately ruined in the fighting. The Tolpuddle Martyrs were one of the first trade unionists. In the early 19th century they formed Friendly Society of Agricultural Labourers, to campaign for higher farm worker wages. Their subsequent arrest and sentence to penal transportation to Australia made them martyrs to the then new trade union cause. A museum in Tolpuddle, in Dorset, commemorates these events, along with an annual Martyrs Day held in the village. Named after Britains’s first Christian Martyr who lived in the town, St Albans has a history stretching back to when it was the important Roman community, Verulamium. Some of the town’s roman architecture survives, such as the pictured fragment of the old roman wall. 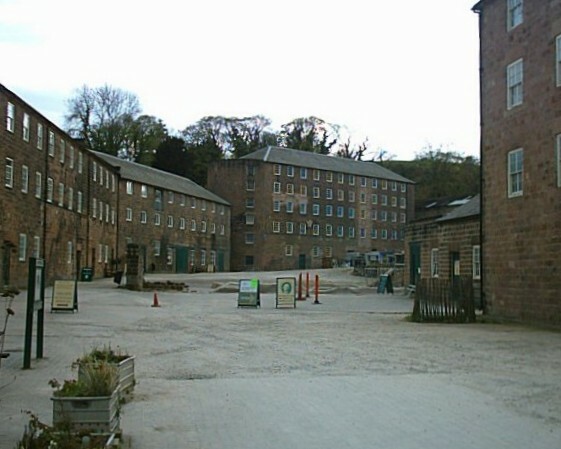 Richard Arkright is credited with building and operating the first factory, Cromford Mill, in 1771. The first mill to run on water power, it span cotton automatically for the first time. The Bronte sisters, writers of such classics as Jane Eyre and Wuthering Heights, lived as the daughters of he Parson of Haworth in Yorkshire. Their Parsonage home is now a museum containing many of their meagre possessions. A must for lovers of English literature. The dissolution of the monasteries by Henry VIII was one of the most disruptive period’s of English history. 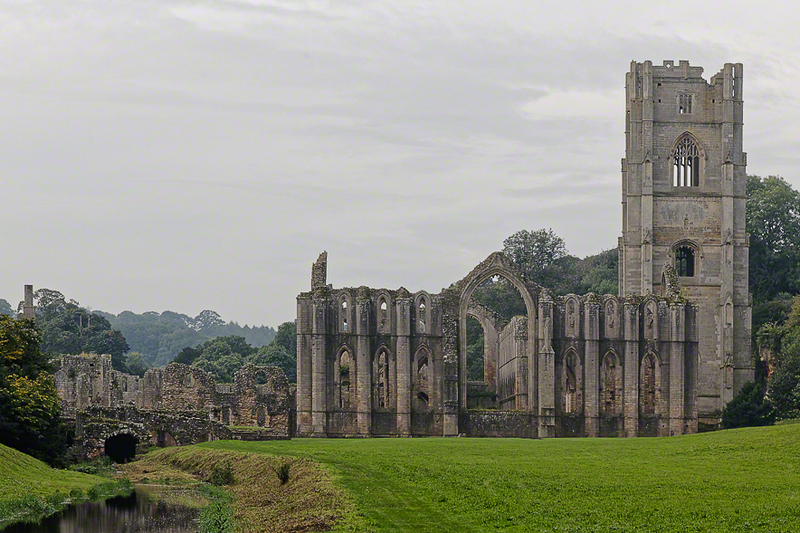 Fountains Abbey in Yorkshire is one of best preserved victims of this push to reduce the Catholic Church’s influence by the Crown. Founded in 1132 by the Cistercian order, Fountains was once a thriving home to several hundred monks who lived and worked on the site and surrounding land, until its dissolution in 1539. Hampton Court Palace in West London was built by Cardinal Wolsey, advisor to Henry VIII, in 1514. After Wolsey’s fall from grace the King took it over and made it his home from home. The Real Tennis court (a sort of cross between the modern games of tennis and squash) used by him remains, along with the famous maze (which was planted much later). It’s now open to the public and a great place to spend the day during a visit to London.